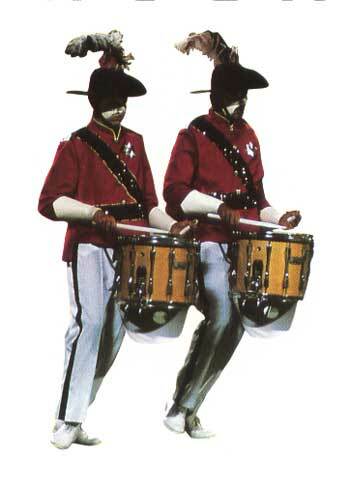 Each weekday before the DCI 2005 Classic Countdown, we'll be running first-person accounts of the seasons and the shows that will be featured in that event. Here's the final installment: By Rafael Rodriguez There are so many Vanguard performances that could have been chosen for this historic occasion. I would not be in this position if it were not for the legacy of excellence that came before me. 1989 was a special year, but in many ways it was just another year in the history of Vanguard. SCV lives by its traditions and philosophies including a strong consistent commitment to excellence and personal integrity, regardless of the outcome. This year we were fortunate to be recognized AND rewarded. I am honored to have been a part of the Santa Clara Vanguard and of drum corps history. The Santa Clara Vanguard in 1989. Alumni corps 1997, 2002 Rafael Rodriguez lives in Santa Clara, Calif., and will be attending the DCI Classic Countdown in Dublin, Calif.